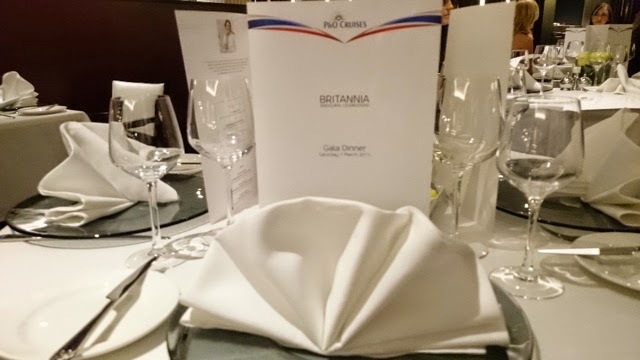 Last Saturday I was lucky enough to be invited onto the brand new P&O cruise ship Britannia for a Gala dinner. The 3600 passenger vessel is the largest cruise ship designed for the British holiday market and the Queen came to name her on Tuesday. 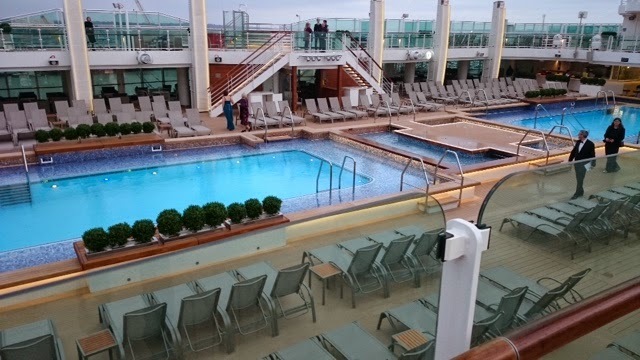 Britannia will sail from Southampton during the summer and from the Caribbean in the winter, it will enter service on 14th March 2015. 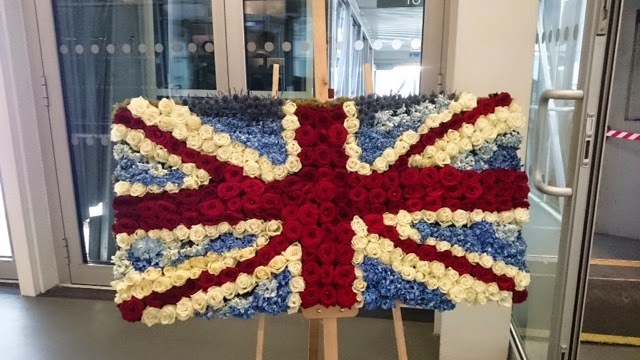 The ship features a 94 metre huge Union flag. 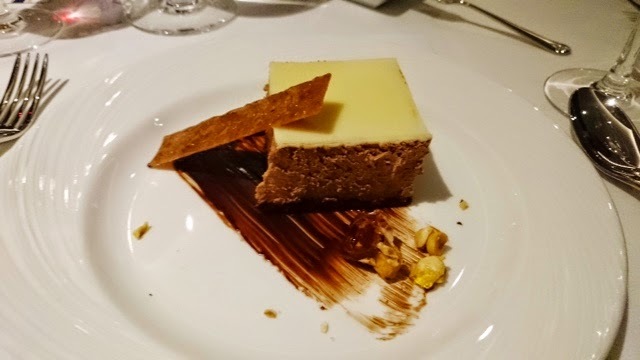 On board some of the features include 13 bars as well as 13 restaurants / cafe! 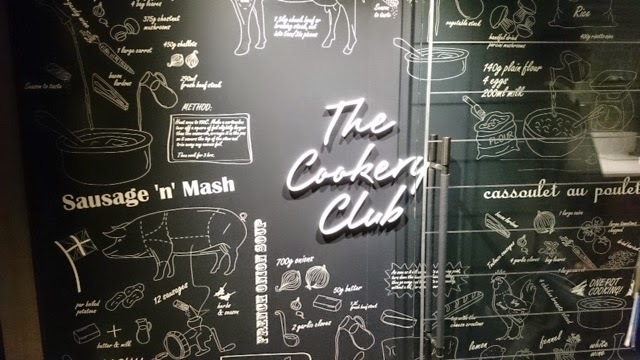 TV chef James Martin will develop The Cookery Club on board and it will feature chef / cooks such as James Tanner, Mary Berry, James Tanner, Antonio Carluccio, Paul Rankin and Pierre Koffman. Cake Boy Eric Lanlard will also have his own patisserie in the Market Cafe along with offering afternoon tea service (my favourite!) 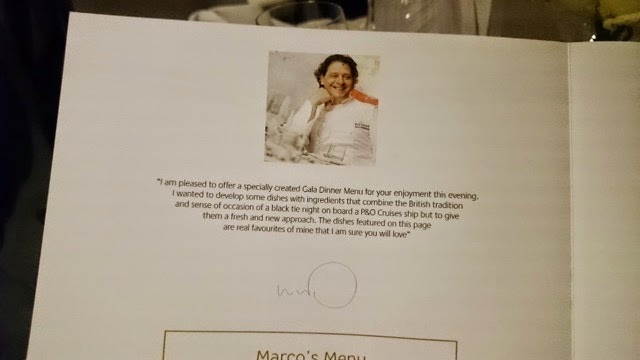 Lastly Marco Pierre White will also have a restaurant aboard. 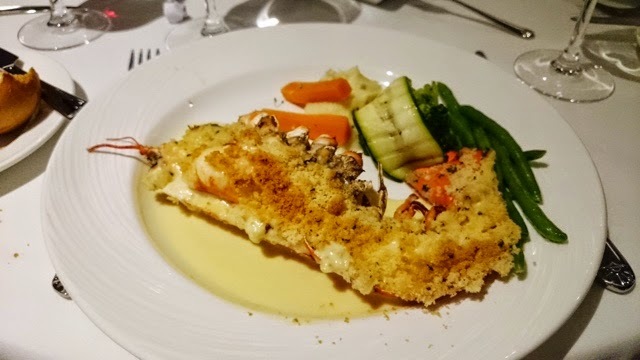 We had our meal at the Oriental restaurant, one of the menu options was the Gala Menu by Marc Pierre White needless to say we opted for that since there was lobster! 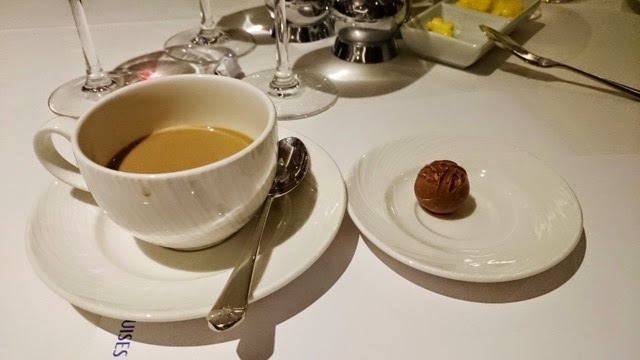 There were 4 courses unfortunately I completely forgot to take a photo of the cream of mushroom and white wine soup and I drank half the coffee at the end before realising I forgot again - ops! Also for pudding I didn't fancy the strawberries so I opted for chocolate cake. They were serving over 2000 at the same time, service ran smoothly from what I saw and the food was tasty and good portion sizes. It was freezing on the top deck so there was only a few of us braving it up there and it was the only place I was able to get a photo. By the time we made our way up to top deck it was getting dark already, not the best lighting for photos especially when I was just using my phone. 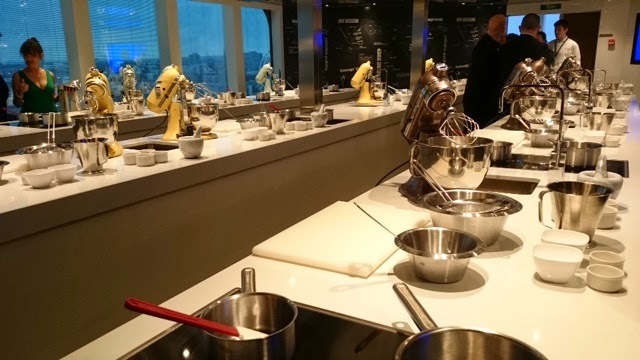 This is the James Martin area "The cookery club" and it's the first of its kind on board where you follow the chef in a cook along. This was the other selling point for me because we done a cook a long end of last year at Taste Of London you can read here. 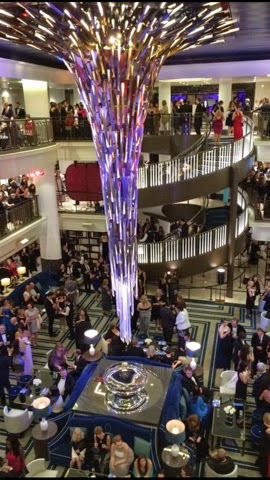 This is the fantastic cafe area by Eric Lanlard for those who don't know Eric is an award winning master patissier and international baking star! I will be attempting to recreate some of his recipes from his Totally Chocolate book along with the recipe he's created specially for the #Happyeggtastemaker! 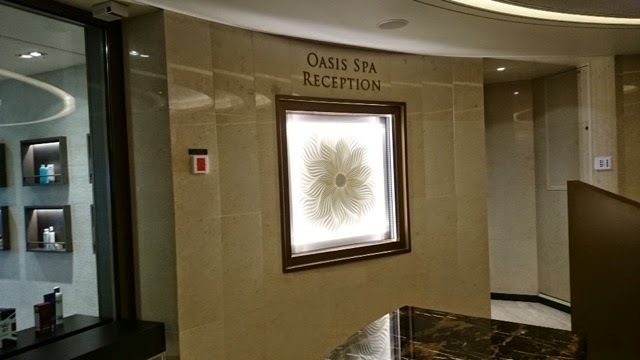 Now let me introduce you to the Elemis Oasis Spa there was every possible treatment available in this state of the art Elemis spa, if only treatments were available that day I would have certainly gone on board a lot earlier to relax. 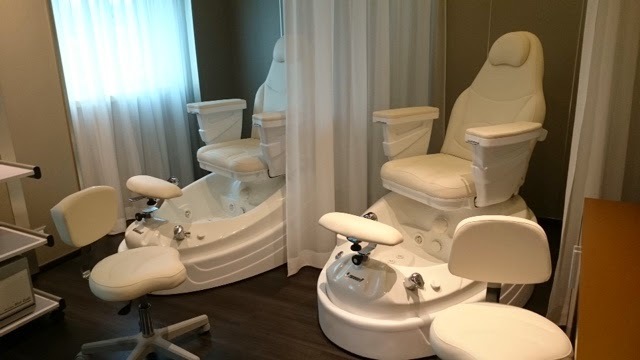 There were over 13 treatment rooms and that's not including couple rooms where you can relax and have treatments together. 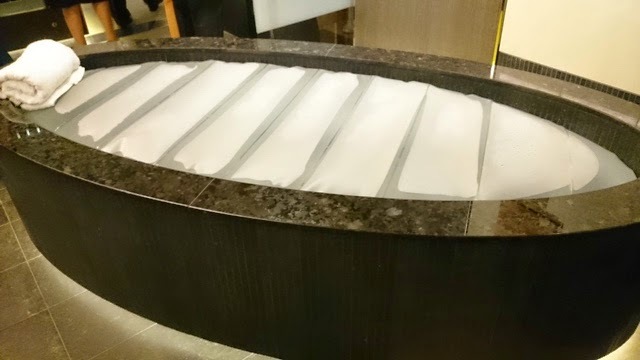 There was also various sauna / steam rooms available along with a beautiful pool where you can just sit at the end to relax before treatment. 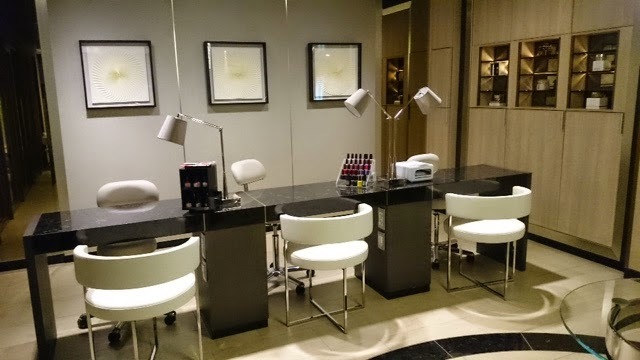 Shellac stations are a must these days mani and pedi of course. 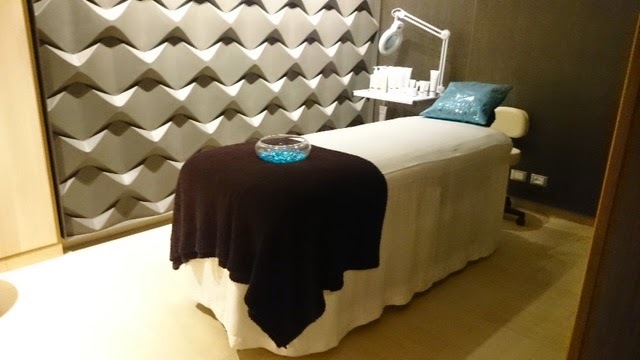 I remember this being some kind of seaweed wrap bath which is one of my favourites having tried a similar treatment in the past before except I was wrapped up in foil. This is much more luxurious and more of an advanced way of doing it by the looks of it and it leaves your skin feeling silky smooth for a week. 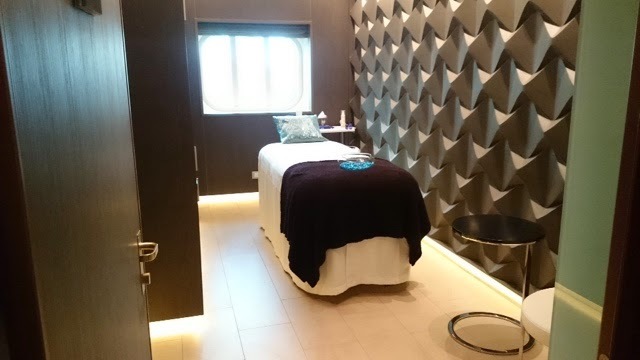 There was also a Dr on board to carry out treatments such as fillers / botox from memory and its available because it's been requested in the past by guests on board other ships! Unfortunately that was all the photos I managed to take on the day. It was so difficult to take photos without getting peoples heads and sometimes it wasn't really appropriate to whip out my phone and snap away! 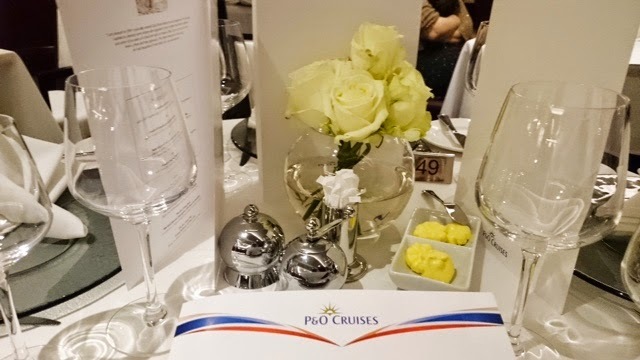 It was a black tie even after all.... Hopefully it's given you a good an idea of what the interior is like, for more info visit the P&O website. It looks like a great evening Mandy! Glad the food was tasty! 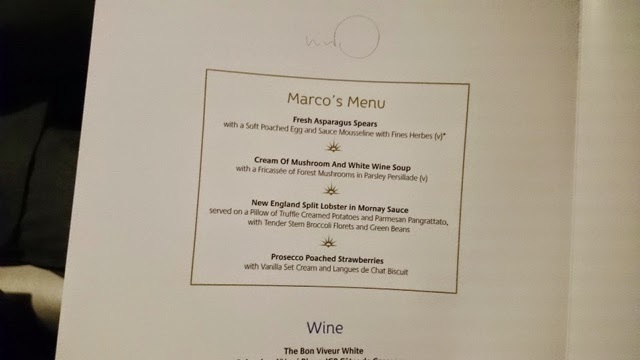 Marco Pierre White has a restaurant in Birmingham but I've never been as it's not had the best reviews but know that he is obviously a lot better than that! This looks like fun! My auntie has been away on a cruise and I wonder if her ship was anything like this one! 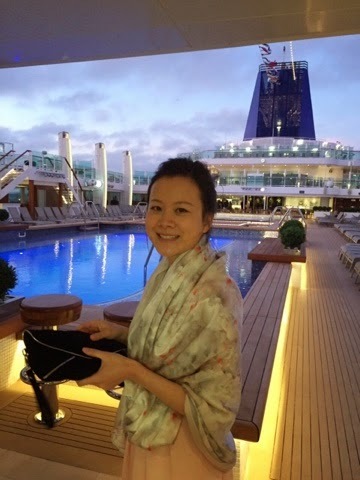 It was my first time going on a cruise and it was a fun experience! 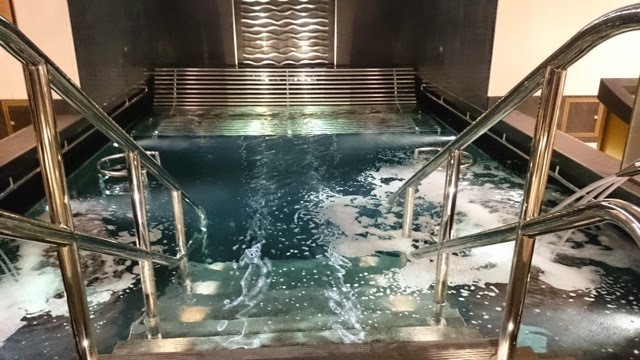 The spa and the food was obviously my fav parts! Wasn't bothered about the bars etc..! Oh wow what an experience =] looks like you had fun. I'd love that, ive never been on a ship before. It was my first time but I always see them around, it was a great experience! 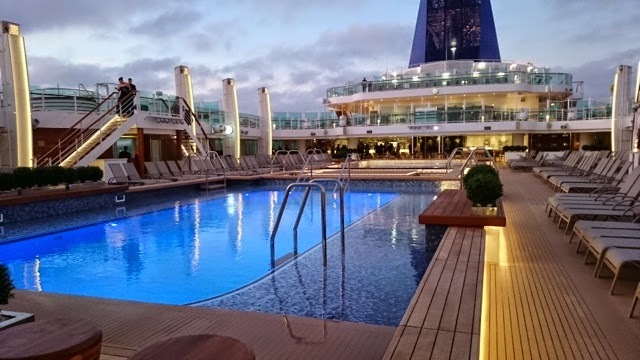 Has it tempted you on going on a cruise holiday?! OH my gosh, what a fantastic day experience! 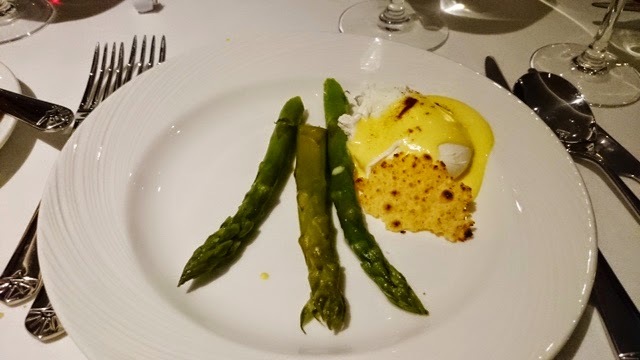 The food all looks delicious, I'm so glad you managed to get photos of that to share on your blog haha :) I've never been on a cruise before, but lately I've been seriously considering it! Oh wow, the ship looks stunning! I've never been on a cruise ship before, I know they're absolutely ginormous but I imagine I'd somehow feel claustrophobic on one? Maybe I'm just weird ahah. 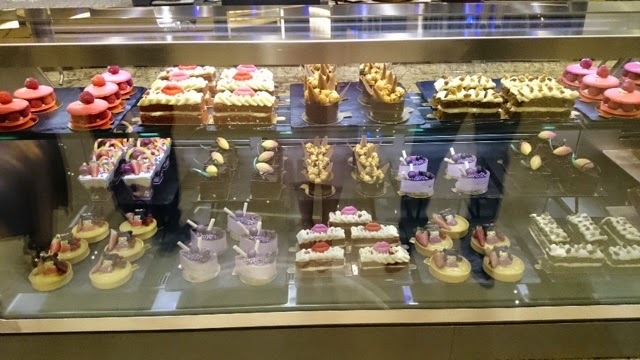 But those cakes and the spa area makes me want to rethink my life choices and book a cruise asap! Glad you had a wonderful time! 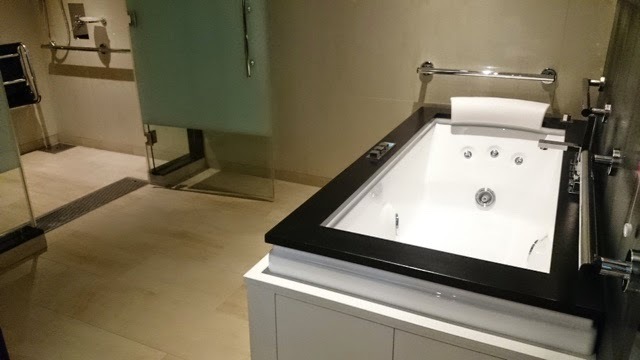 I have never been on a cruise holiday myself and we get lots of cheap deals but the facilities and food was pretty impressive I have to say. I prefer holidays where there are less people around and more chilled...plus I get sea sickness!